Fun! 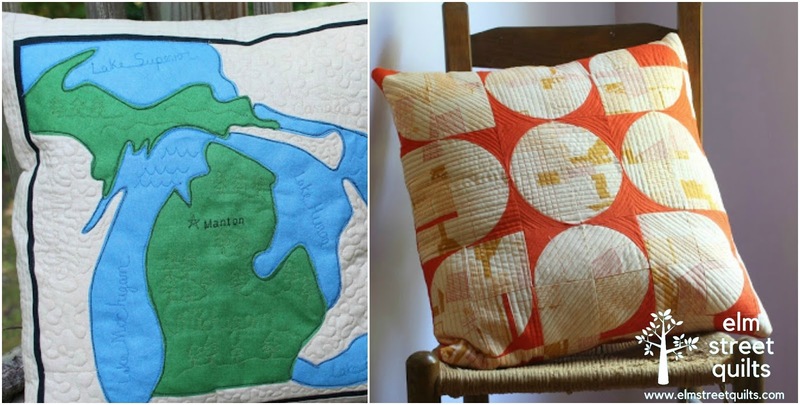 I like making pillows, too! I love how coordinated the pillows for your son and daughter are with the quilts you have made them previously! I had two pillows planned, but never got to them. Oh well, there's an idea for February OMG!! Love all the pillows, Patty! I've made a few myself...so fun! All of them are very pretty. 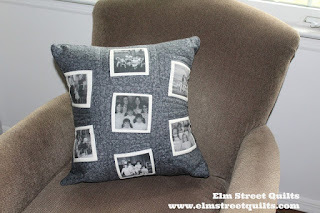 That Father's Day pillow with the photos is so nice. Gotta love pillows, right? They all look great, but the blue one really is cool. I love the graded colors and the pattern. 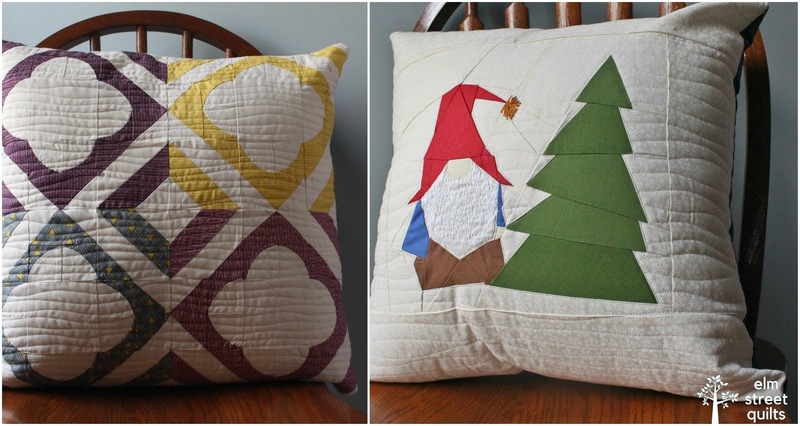 love your pillow with the elf adn tree! what pattern, where can I find it to make one? What a gorgeous collection of pillows! Oh the Christmas gnome and the tree!! They're all beautiful but that one really captured my heart! Your pillows all turned out beautifully. I really like the one for your Mom and the one for your daughter's bed. That Michigan pillow it TOTALLY AWESOME!!! It's not my state or a stat that I've visited often, but the idea can (and hopefully will) be translated. Beautiful pillows and quilt projects Patty!! I think it is always so neat to make a pillow to match a quilt using the scraps! Oh my - I don't which is my favorite - love them all!! And a great present idea - I'll tuck that away for next year.